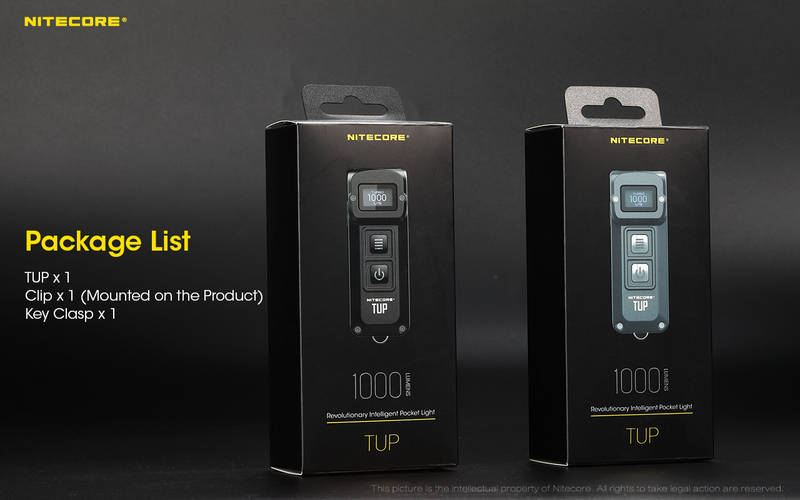 Nitecore's TUP raised the bar this year for what pocket EDC flashlights can deliver, and at a great price point too. 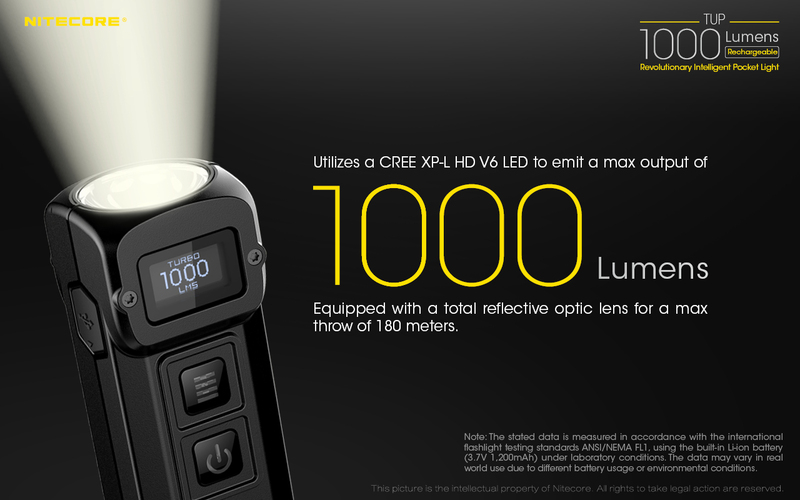 It packs a whopping maximum of 1000 lumens of power from a single CREE XPL-L HD V6 module. 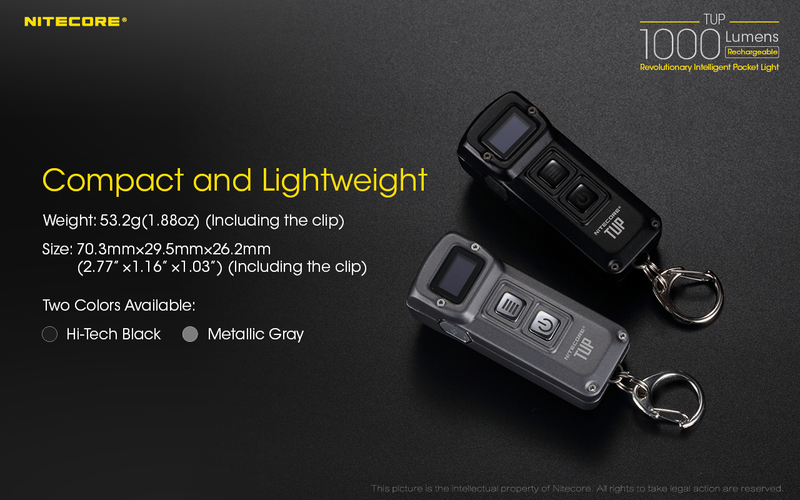 And it does all this while being only 2.75 inches long and 1.87 ounces in weight; it's barely noticeable in your pockets or on your keychain. 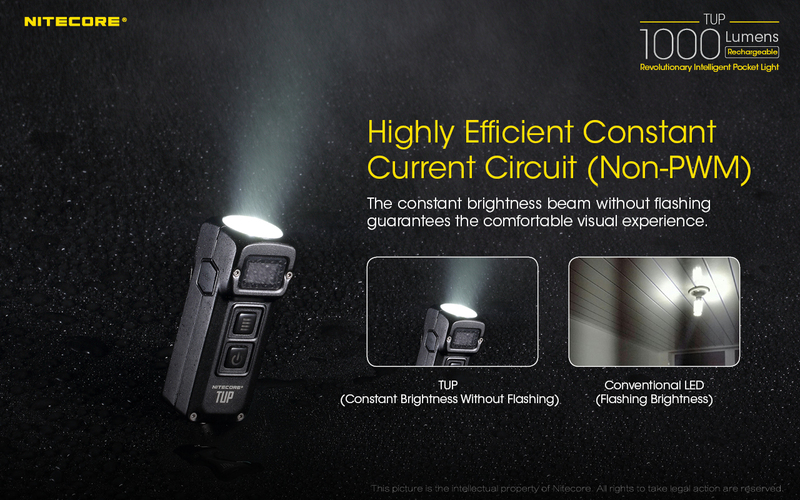 For added convenience, it features an LED control panel that helps you use the buttons to control your desired output and mode. 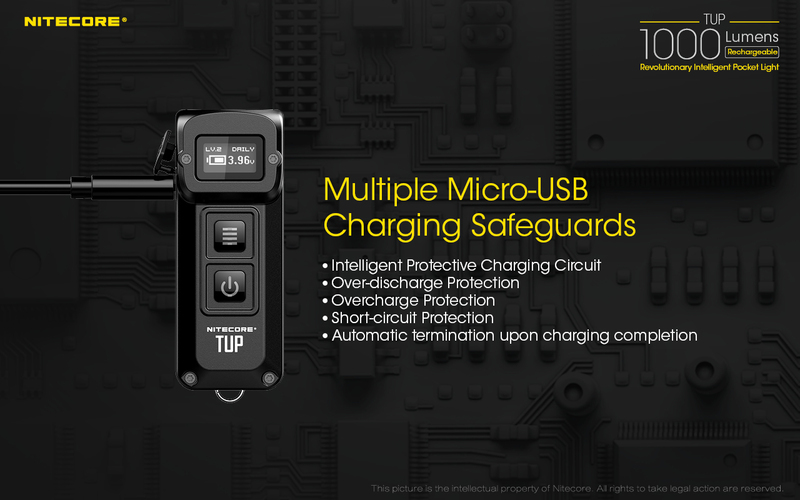 When it's all said and done, recharging the TUP is easy because it comes with a USB charging port built-in, making it even more deserving of its top spot on last month's most popular gear. 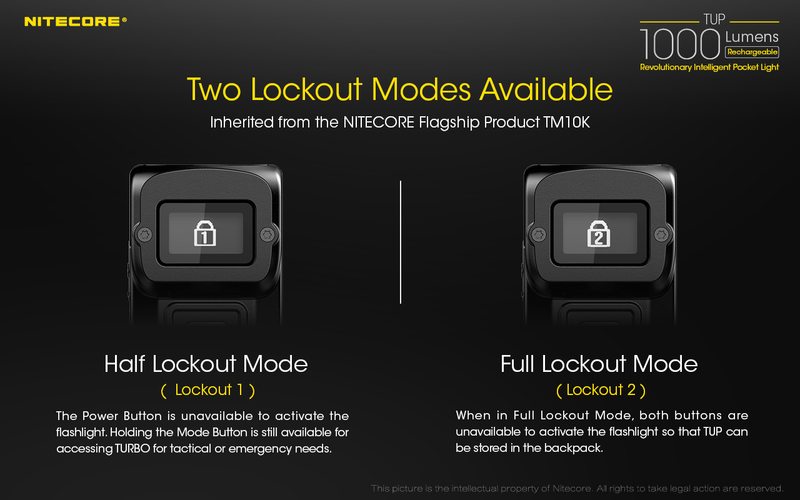 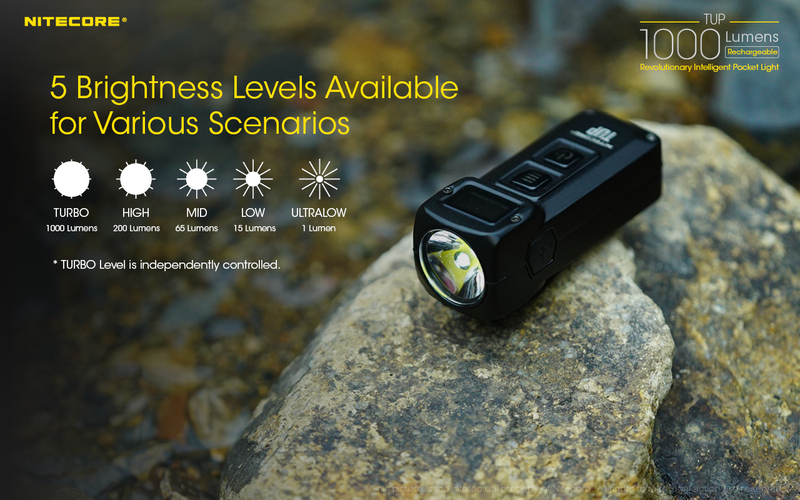 Most Innovative Flashlight: Nitecore TUP Nitecore was never a brand to shy away from experimentation, pushing the limits on both ends of the spectrum with insanely bright yet tiny keychain lights like the TIP and TINI, and even more insanely bright yet somehow fairly tiny searchlights like the Tiny Monster series and Concept 2. 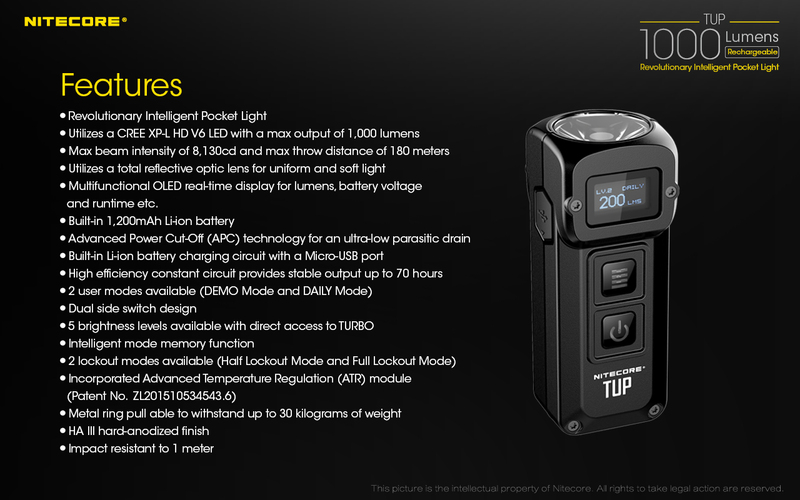 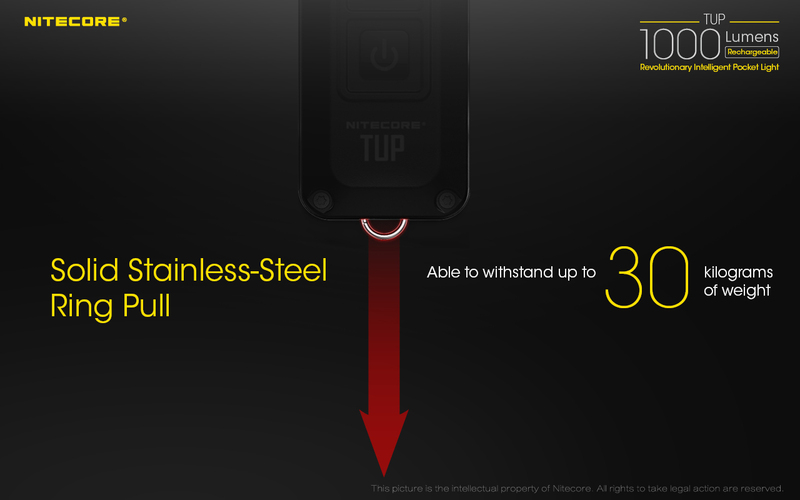 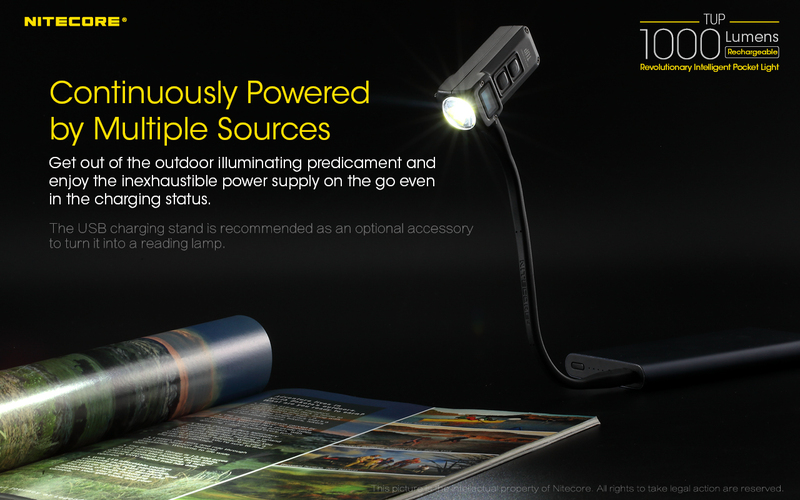 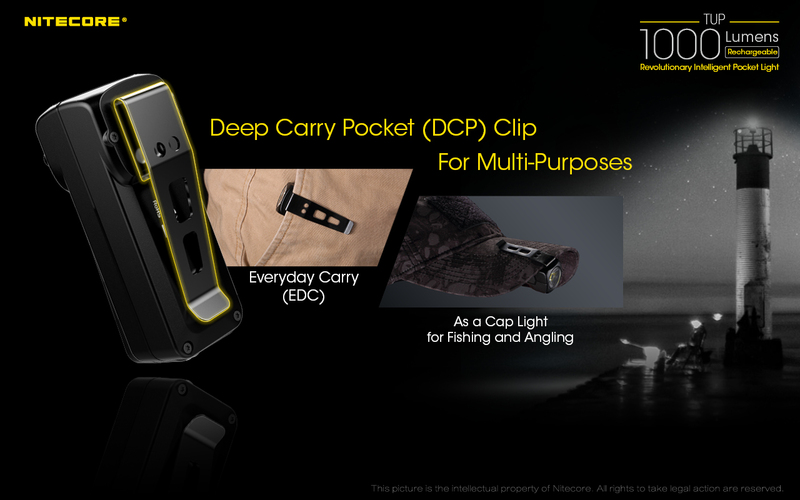 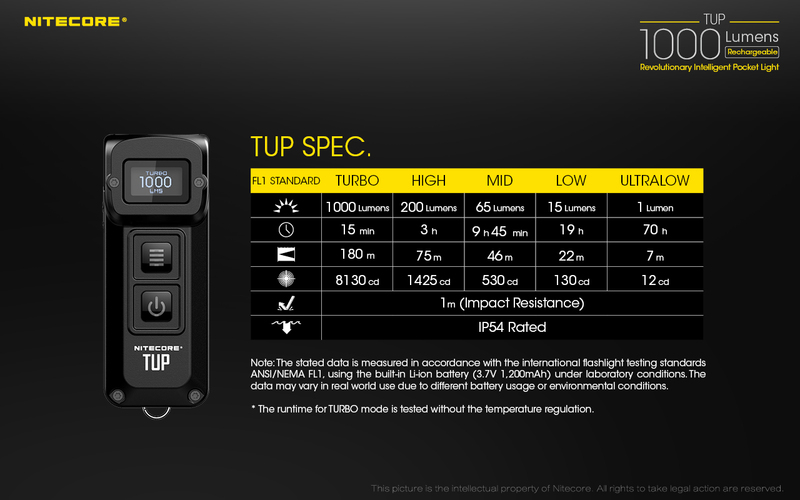 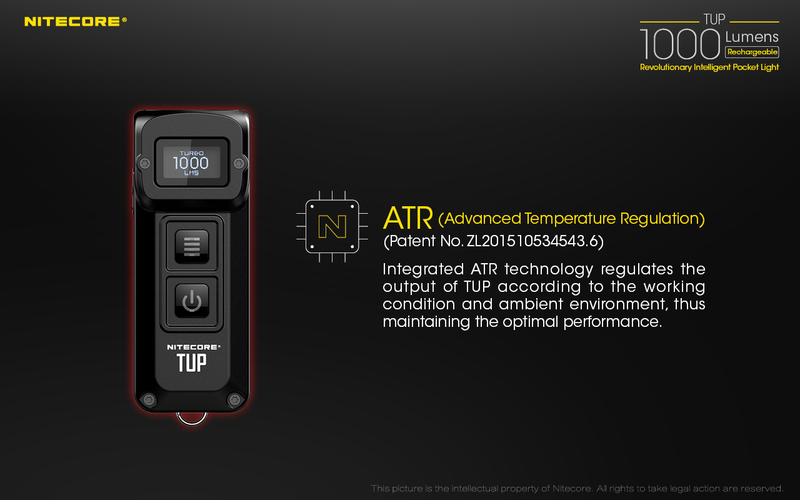 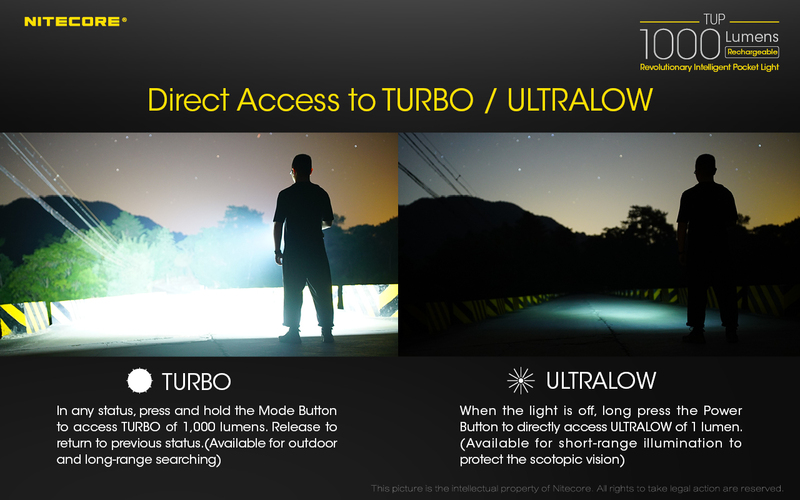 The TUP is sort of a mash-up of those boxy searchlight proportions and high output with the portability and high-tech features of Nitecore's keychain lights. 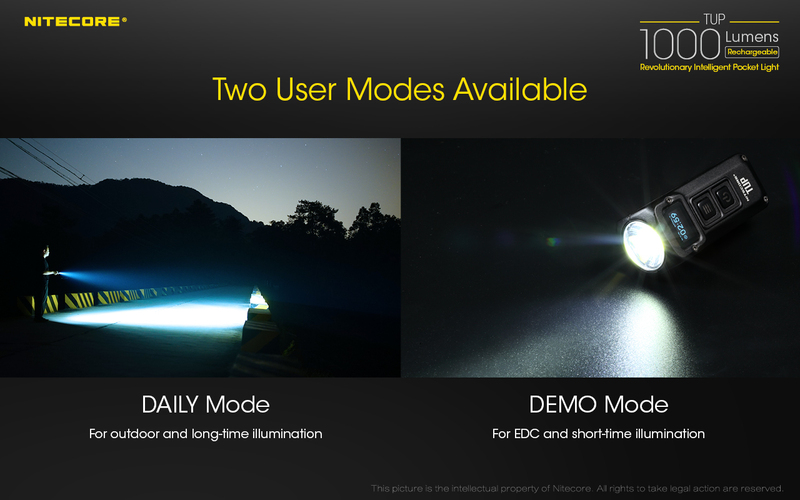 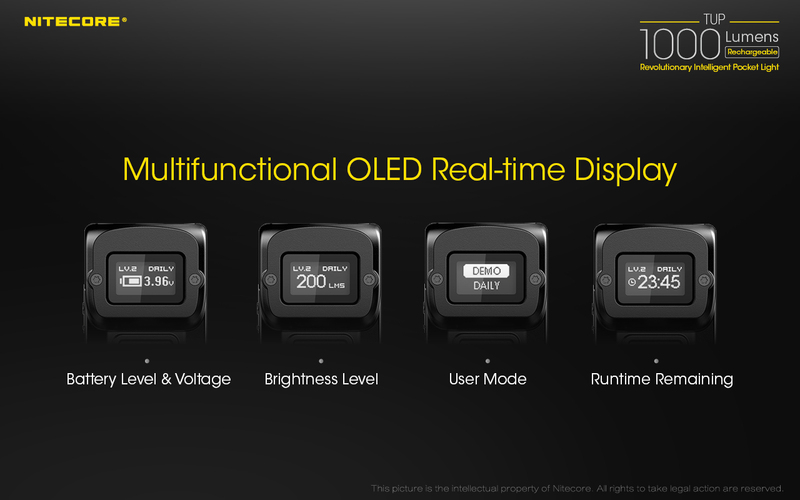 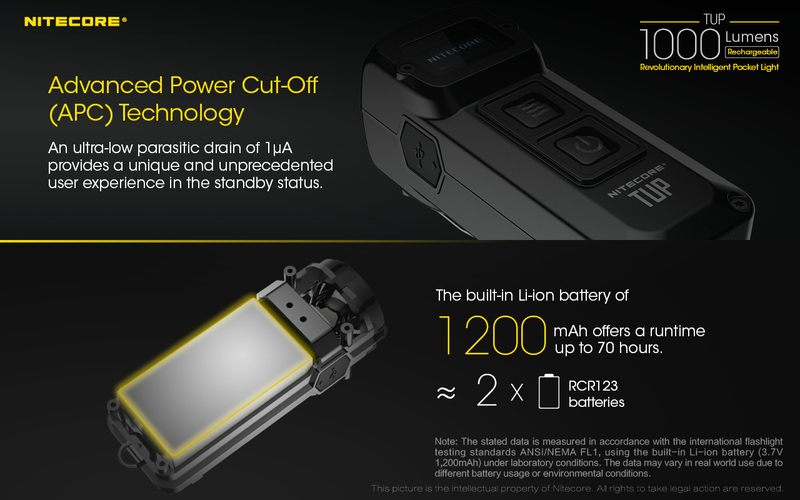 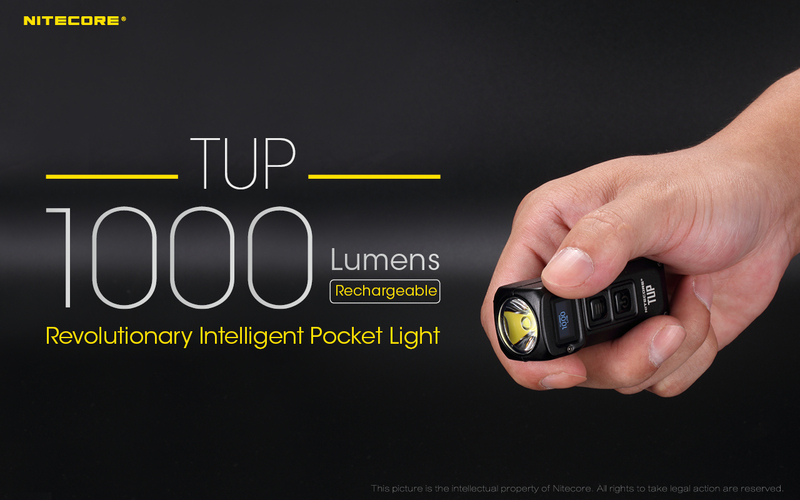 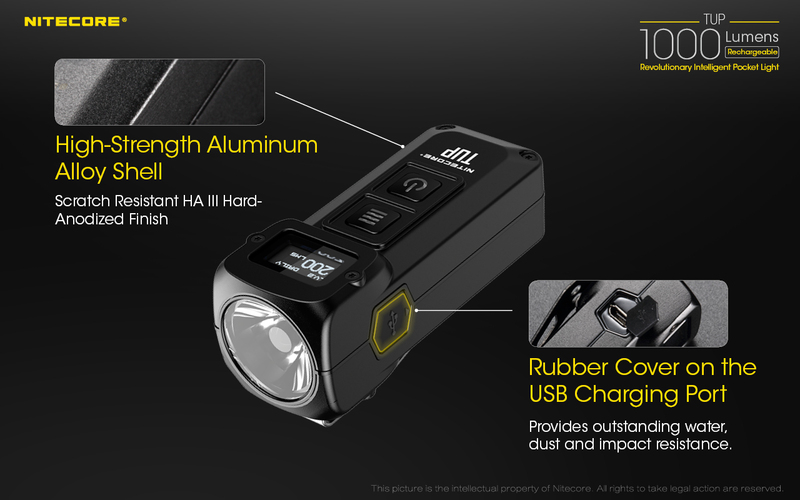 It reaches a 1000 lumen max output and sports a unique OLED screen to display the light's "vitals" all in a form factor that fits in your palm and on your keychain.